The following popular calendar themes for 2018 have a timeless appeal. 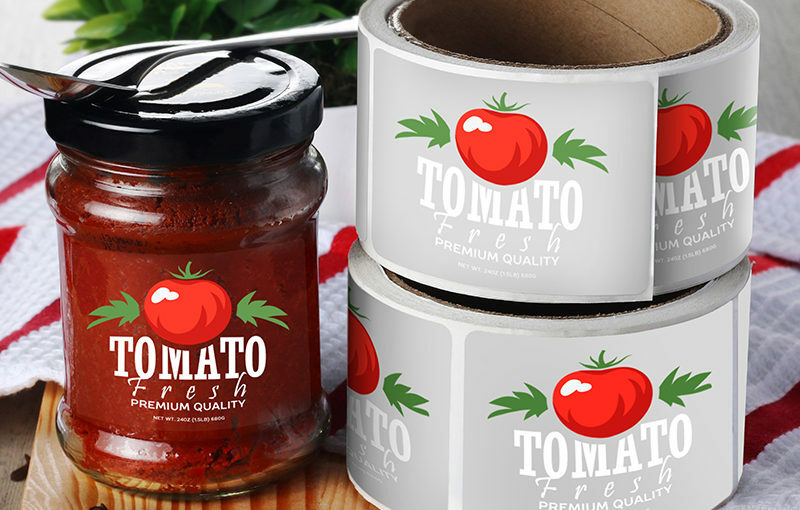 We compiled these themes based on popular trends and orders we have received so far. If we missed a popular trend in calendars you feel should be included, tell us in the comments section. This classic calendar theme never gets old. Cute and awe-inspiring animal images are always a hit. Kittens, ponies, and puppies are some of the more animal-related popular calendar themes, and we’re betting they’re going to be a big seller for a really long time. 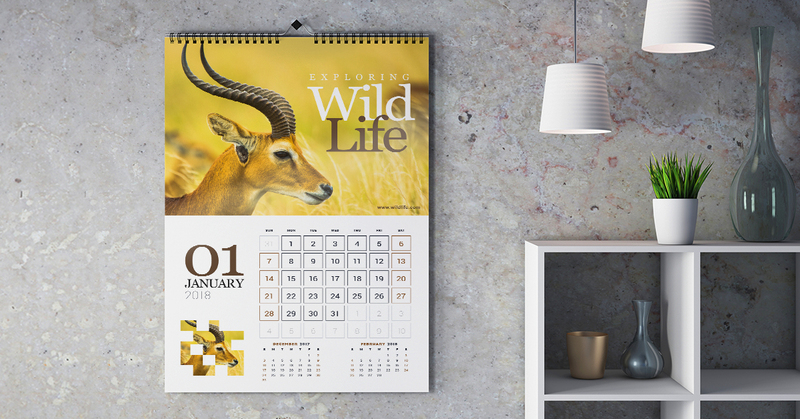 Wall and poster calendars are the most popular format for these themes. Real estate businesses account for a huge proportion of our calendar customers. 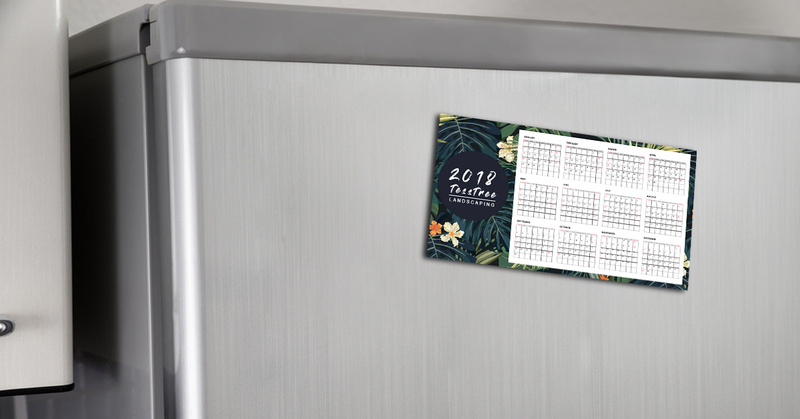 Wall calendars and poster calendars are common giveaways, but smaller-sized card and magnetic calendars are starting to trend as well. The home and garden industry was an early adopter of calendars as a marketing tool. 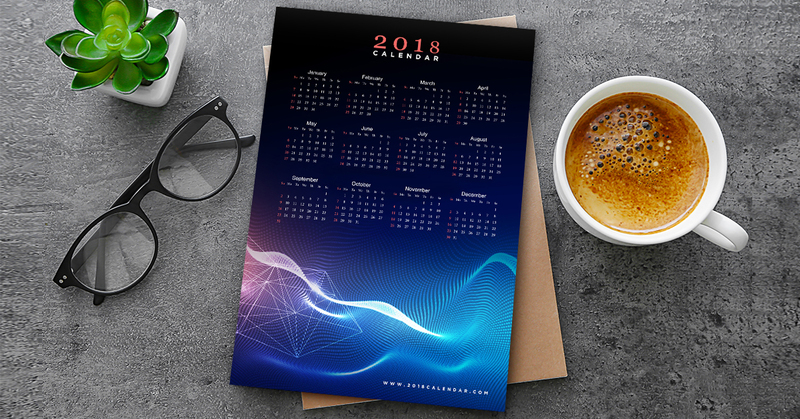 Businesses in this industry have long recognized the value of calendars as a way to have their brands right in front of their customers all year long. 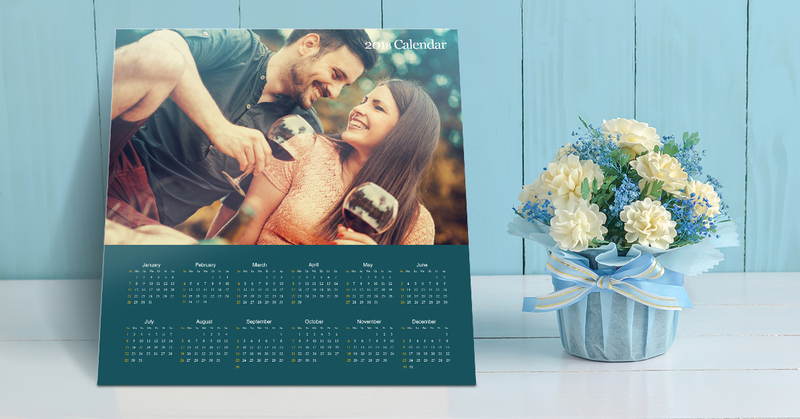 Poster and wall calendars are among the most popular formats, thanks largely to the way the formats can present beautiful home and garden images. Magnetic calendars are also a great alternative for these themes. Print has become a go-to format for humanizing organizations, and tech companies are now riding on the trend. These calendars are also the perfect way to maintain interest in the next year’s product launches. A significant portion of UPrinting calendar customers come from the financial services industry. It’s easy to see why. Most interactions with customers tend to be long term. This makes calendars the perfect gift to give to investors at the start of the year. The sports industry is projected to reach $73.5 billion by 2019, and the demand for sports-themed calendars is only going to grow with it. 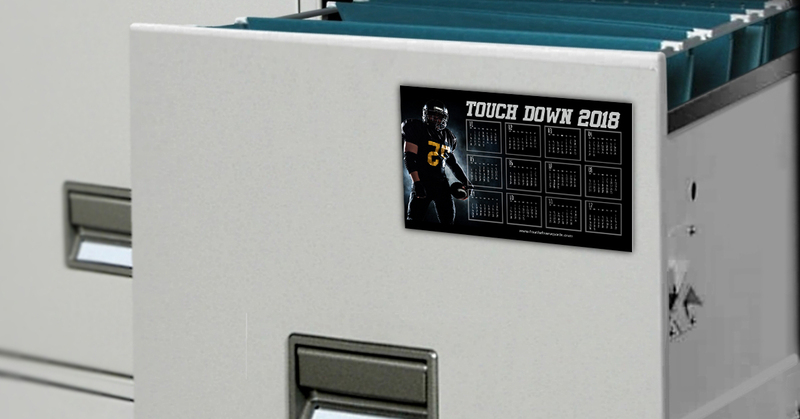 Wall, poster, card, and magnetic calendars related to professional and college sports will definitely be one of the popular calendar themes for 2018. 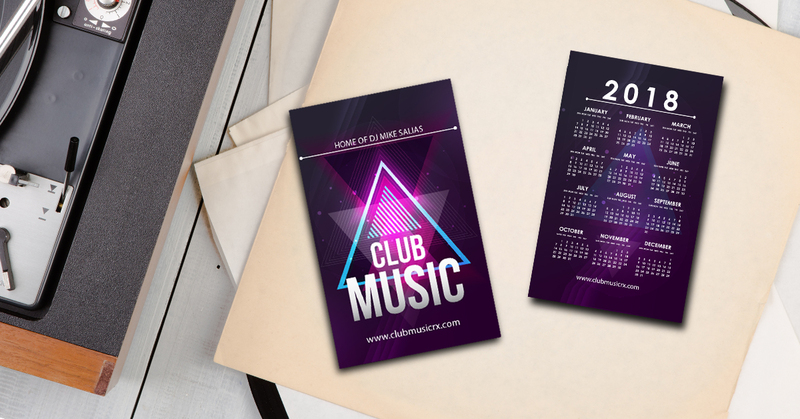 Printed school and academic calendars should be part of any educational institution’s standard stationery. School calendars are a useful tool for both faculty and students, providing a handy reference with important dates and events printed right on them. This makes it simple for everyone to plan for the year’s activities well in advance. College and university calendars are also a fun way of showing school pride and are much appreciated by current enrollees, alumni, and future donors. Custom wall and poster calendars featuring artwork related to popular musicians, movies, and TV shows are the most searched calendar themes by far. 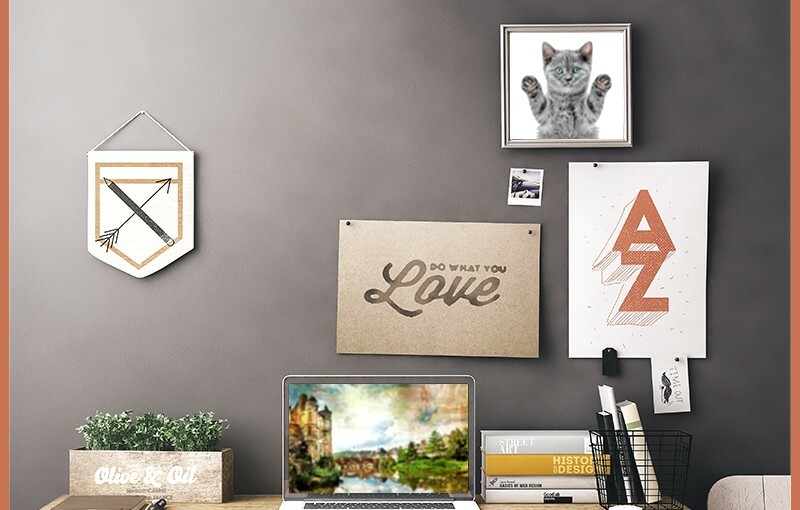 Poster and wall calendars offer plenty of space for artwork, making them popular for these themes. 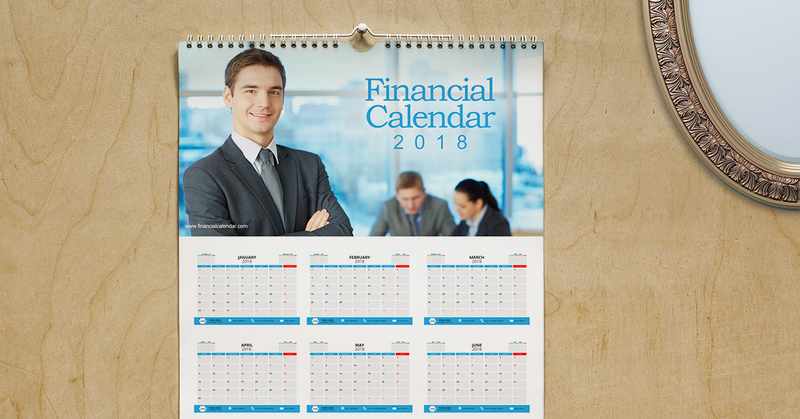 Be sure to familiarize yourself with fair use laws before ordering any calendar with copyrighted images. Natural and urban landscapes are a popular theme for travel agencies and tourism offices. 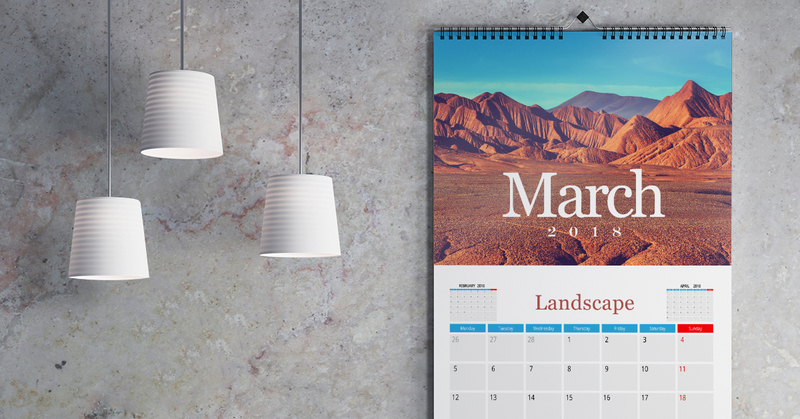 Wall calendars work great for these themes, allowing several different landscapes to be featured in a single calendar. A poster calendar can also work well, putting the focus on one specific landscape for the year. 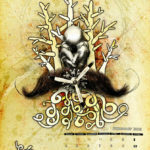 Art calendars are a popular format for visual artists looking for a great, non-intrusive way to market their work. 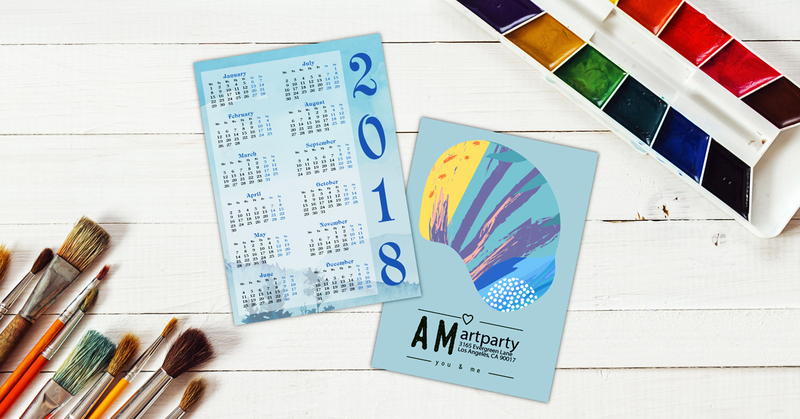 Wall calendars can be used to present different monthly themes while poster and magnetic calendars can be used to show off a single piece of art. These will likely stay on someone’s wall long after the year is done. Card calendars are also good giveaways for gallery events and are a killer substitute to regular business cards. 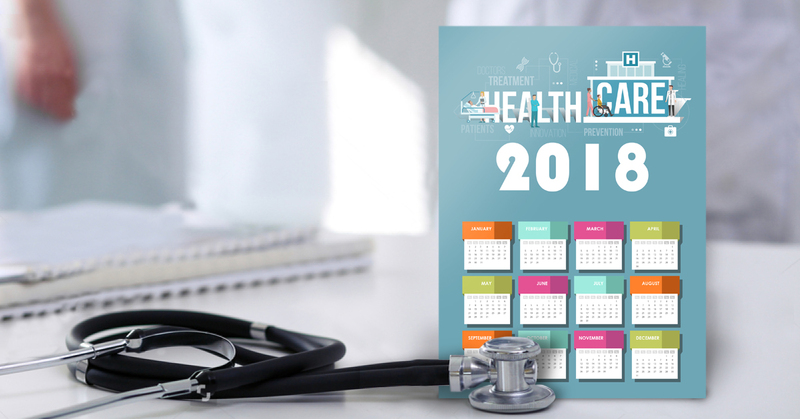 HMO and insurance providers often provide these to workplaces in order to keep everyone posted about health and safety matters throughout the entire year. Companies may also provide these calendars to their different offices to keep everyone on the same page regarding important occupational safety practices. Keep everyone motivated and inspired throughout the year. 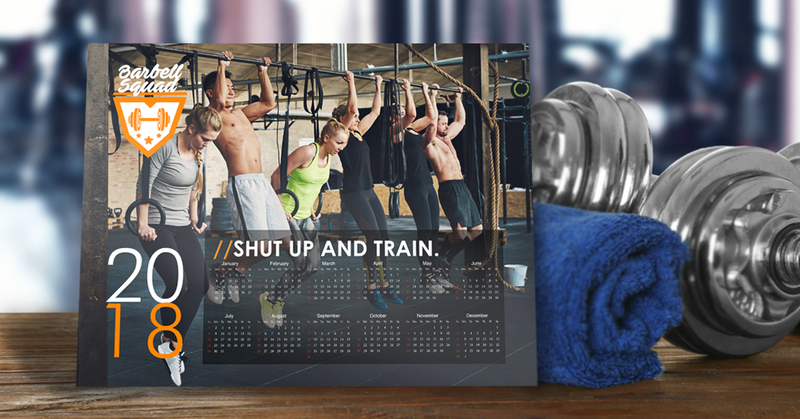 Motivational and inspirational calendars are an awesome giveaway for gyms and other fitness-related businesses. Give these away with yearly gym memberships and see more customers actually show up throughout the year. These calendars are also a good fit for those in the booming personal coaching industry. These calendars are a simple way to show how much you love your country. What’s more, all our calendars and other products are printed here in the USA. 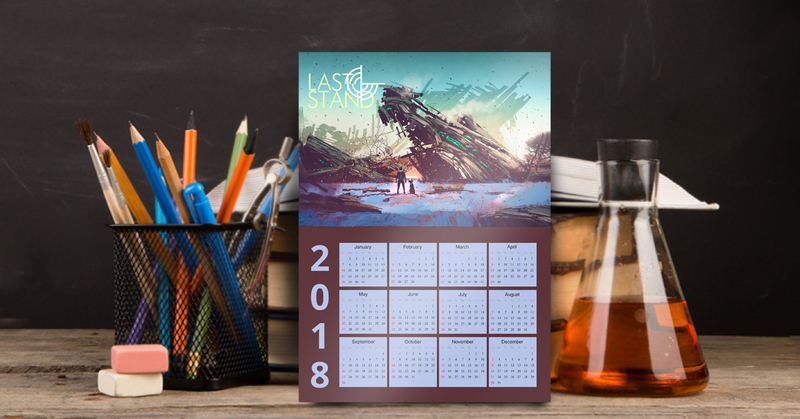 Science fiction and fantasy calendars have been popular for decades, and will likely continue to be one of the popular calendar themes for 2018. Different sci-fi and fantasy franchises may come and go, but the genres themselves will persist well into the foreseeable future. 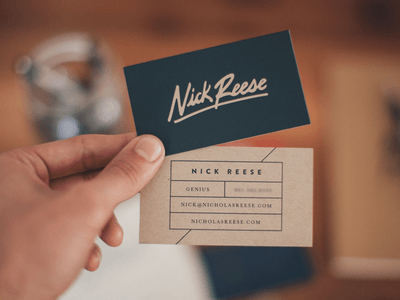 Whether you run a pizza place, a drycleaning business, or any other other kind of local business, you can be sure people in your area would appreciate having a quick daily reference — and your contact details — just moments away. 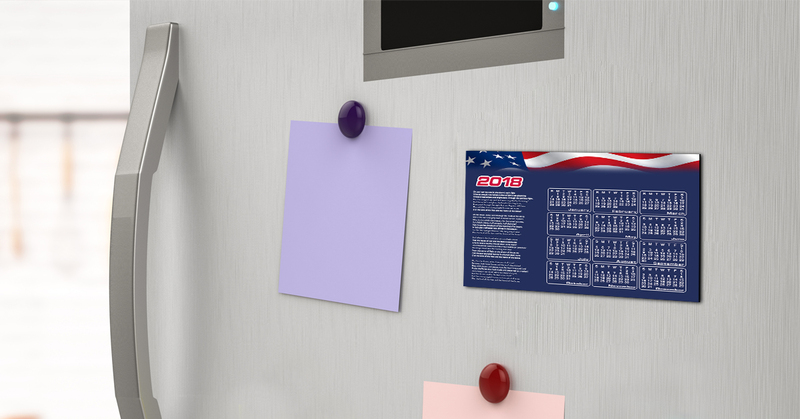 Magnetic calendars are especially well-suited for local businesses, as they’re normally stuck to fridges, ensuring daily brand impressions. Car calendars are historically among the most popular calendar themes ever. Calendars featuring race cars and other interesting vehicles are a cool promotional item for auto shops and dealerships. 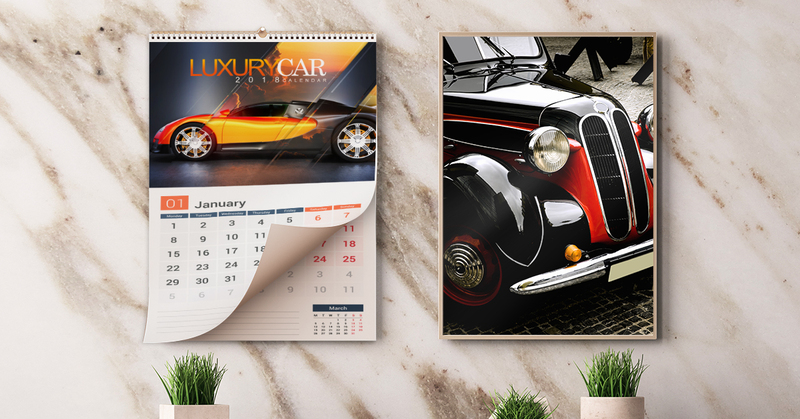 The wall calendar format works well for themes covering a category of vehicles while the magnetic and poster format is great for putting the spotlight on one special ride. Airplane calendars are some of the oldest themed calendars. Many vintage pin up calendars have aviation themes. 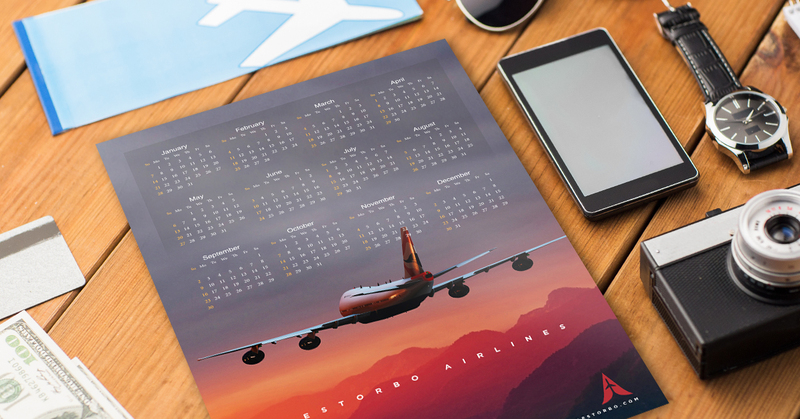 Airplanes continue to capture our imagination, and they will continue to be one of the more popular calendar themes for 2018. Airplane calendars are diverse, running the gamut from historical models and commercial aircraft to conceptual spacecraft and state-of-the-art fighter planes. Wall calendars are a good format for showing off one plane at a time. 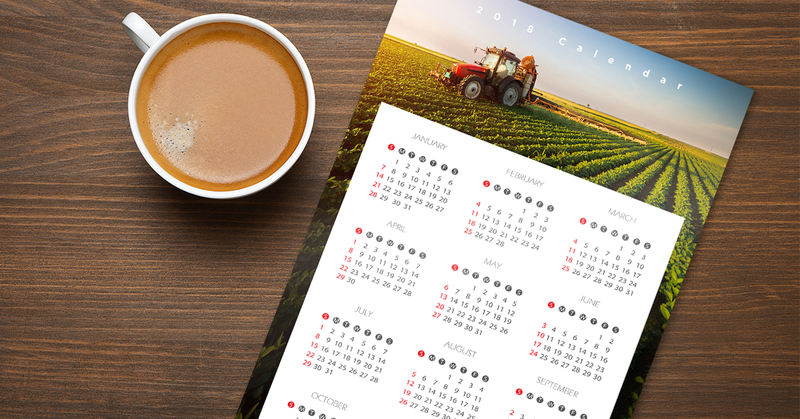 This classic calendar theme includes images of farm equipment or pastoral scenes. More technical farming calendars may include month by month information on the seasons and crop cultivation techniques. More traditional farming calendars may also show lunar cycles, in addition to age-old lore and advice on day-to-day upkeep on a farm. 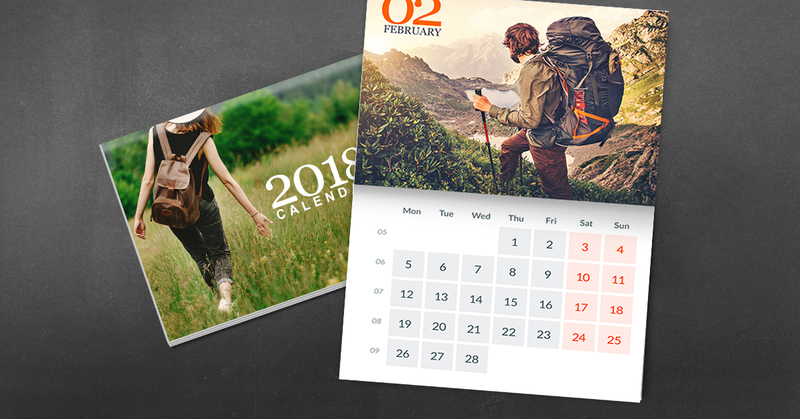 Photography calendars are a great way for any professional photographer to market their work. 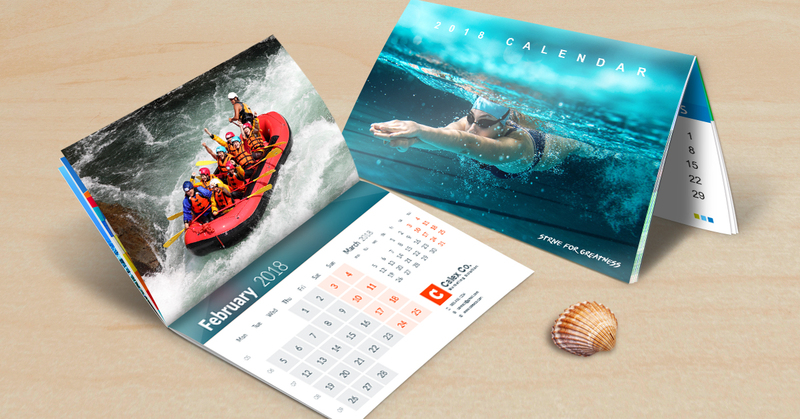 Wall calendars are especially good for this application, as it allows multiple images to be grouped in a coherent theme, letting the calendar double as a portfolio for the photographer. Calendars with pop culture themes are quite popular, especially when a certain theme is trending. 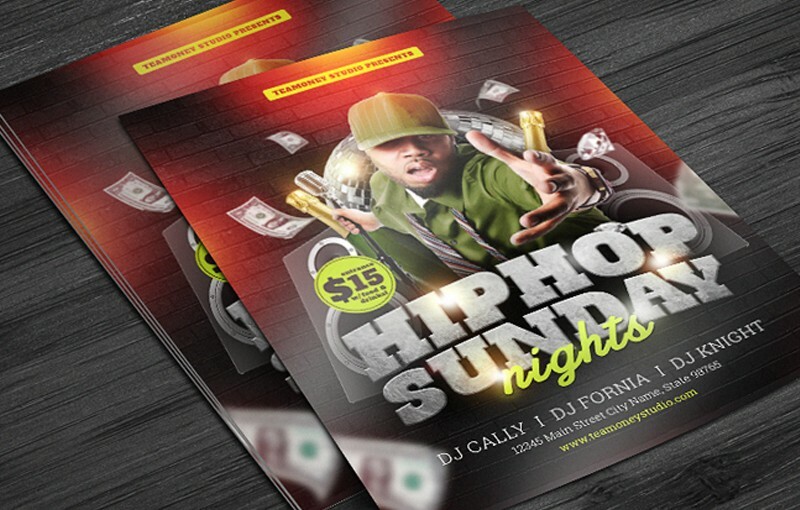 Non-trending themes can also still be a hit with die-hard niches. 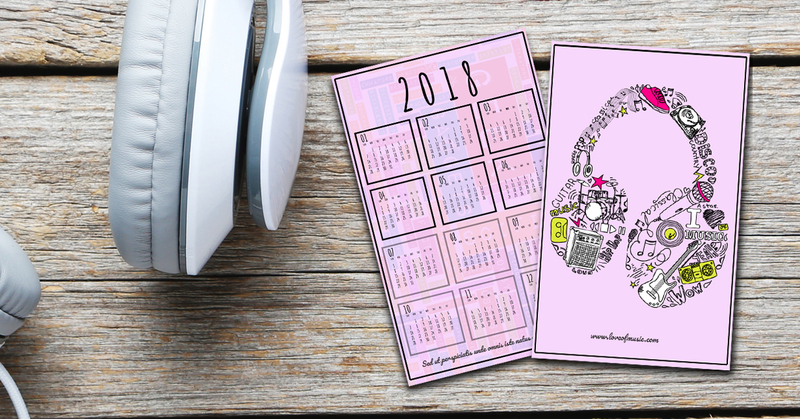 If you’re printing a themed calendar referring to a pop culture phenomenon, it’s best to familiarize yourself with basic copyright issues that might arise from using some images for profit. Humorous calendars are always popular, and a good way to strike up a conversation. Provided the jokes are good, of course. Poster and magnet calendars are especially suited for one-liners. 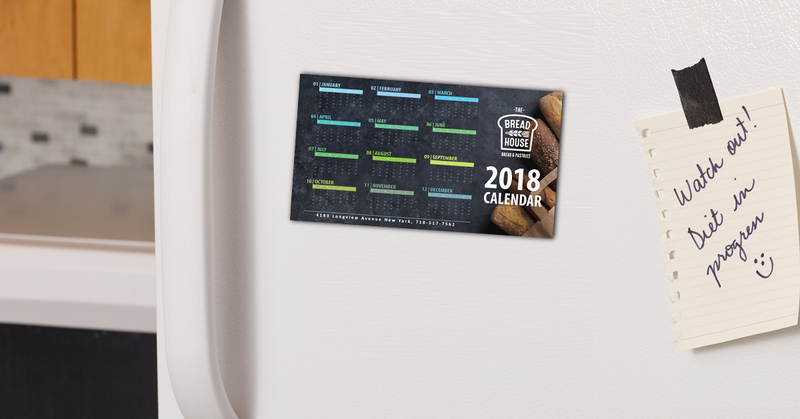 Wall calendars can give you all the space you need for a year’s worth of zingers. 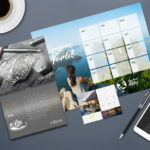 Travel calendars are a popular promotional item for tourism offices and travel agencies. They’re also a popular gift item for travelers who want to bring something interesting yet useful back home. 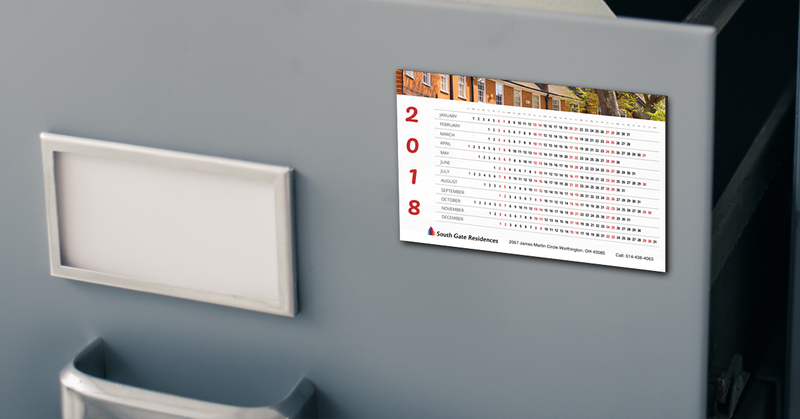 Wall and poster calendars are just the thing for showing off the different sights and experiences at a locale, while a smaller magnetic calendar could be just the thing to bring home to your friends. 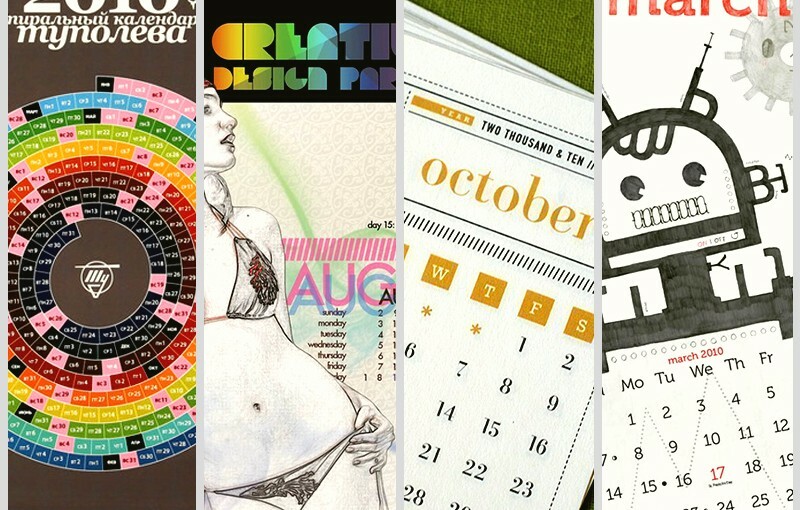 These perennially popular calendars are surprisingly versatile. Quote calendars can be used to reveal truisms and gems of truth or as a showcase for typography design. These calendars are especially compelling, and learning new quotes can be habit-forming. 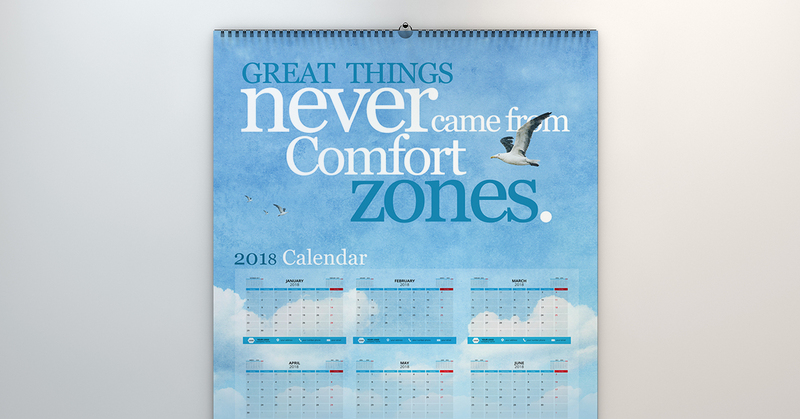 Use magnet and poster calendars for displaying one powerful quote, or wall calendars for monthly and daily quotes. Order them early. It’s important to order the next year’s calendars early, as there’s only a small window during the holidays when they will be in demand. Everyone might be interested in having a calendar in November or December, but few will still want one in February. Not all calendars are the same. 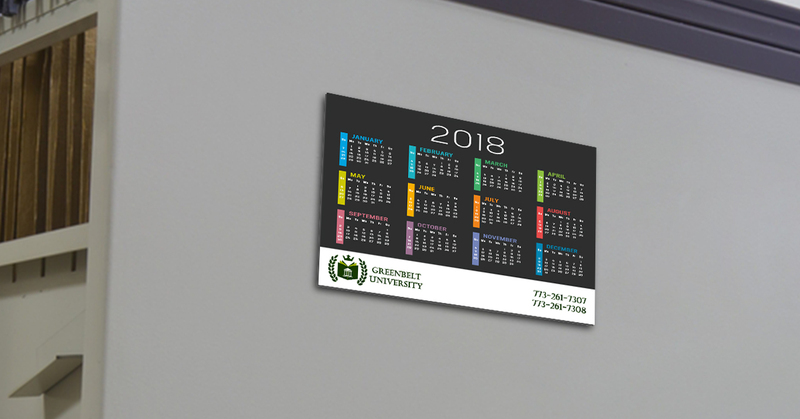 Not only do you have card calendars, poster calendars, wall calendars, and magnetic calendars, you can also have custom calendars with more than 12 months as well. The number of pages on wall calendars can also vary, with some holding more than one month per page. 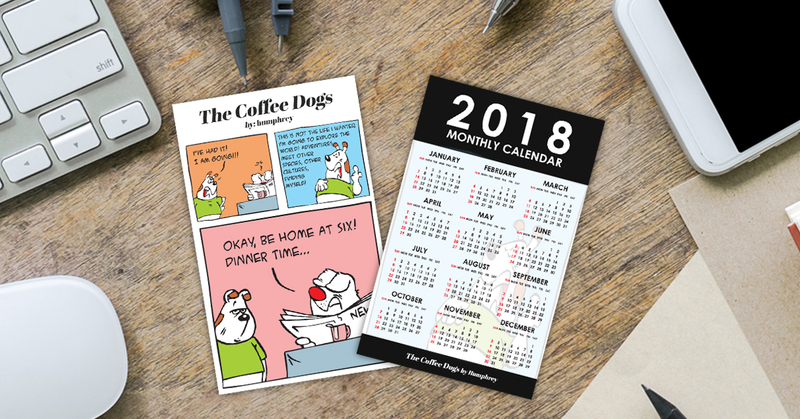 Consider how your custom calendars will be used before your order, so you choose the one that’s right for you. Use the right templates. Nothing’s worse than ordering a calendar only to find out too late you sent it in with the wrong year. Misaligned pages and artwork can also really get you down too. Avoid these issues by downloading the right calendar templates. What popular calendar themes for 2018 did we miss? Comment below.